Your feedback or comments are always important but sometimes I receive similar questions and cannot always respond to every individual email. You may possibly see the answers to the most asked questions in this department. Any other questions that might possibly be, of a more technical nature, I may address in the Library link. I DO read every email and as needed, will update FAQ. Q: What is Stop Motion Animation? Q: If everything in animation is Moving, then why is it called STOP Motion Animation? 1. When single frames are snapped over a period of time to record a process with lengthy pauses between shots, when the frames are shown at regular speed the process that was being recorded occurs rapidly. This is time-lapse photography. When Disney used it during the 1950's and early 1960's in such documentaries as The Living Desert blossoming flowers turned into a floral ballet. 2. Méliès' transforming bus falls into the second category, where the camera is stopped, the scene is changed, perhaps by the removal of an object or actor, and filming resumes. When the film is run, the object or actor seems to disappear. 3. Another way to use stop-motion involves stopping the camera at various points in a scene, advancing the action and turning the camera back on. An actor will then appear to pop in and out of existence, each time at a different place. 4. The fourth effect provided by stop-motion is known as pixillation. By shooting objects or people one frame at a time or by removing frames from a filmed scene, the action in the scene appears jerky and quick. The infamous eating scene in Tom Jones is a prime example of this effect. 5. When most people hear Stop-Motion, they think of this final category: A flexible model (the Puppet) is filmed in short segments of one or more frames and is moved slightly between each shoot. When the film is run through the movie projector at the speed of 24 frames per second (video = 30 frames per sec), the model appears to move. The smaller the incremental changes, the more natural the movement. Apply the process to a series of drawings and you have The Lion King (as an example). LIO Comment: The 2D hand drawn animation industry (aka cel animation / cartoons) does not call their animation technique, Stop Motion, even though, by pure 'Technical' definition, one could classify it in Stop Motion category. Also, Stop Motion has had different names such as .... Puppet Animation, Model Animation, Stop Action Animation, Dimensional Animation, Stop Frame Animation, and Stop Motion Photography. Other Stop Motion sub-categories: The more popularly known, Clay Animation; then there is the lesser known, Replacement Animation, Object Animation & Cut-Out Animation. Am I confusing you? Q: Okay, I am really interested in Stop Motion Animation but I do not have much money and I also need free information about Stop Motion. How do I get started? A: What you think is a simple question that might have a simple response, actually would require biblical sized answers! If you do not remember the early days of stop motion animation (without computers) then it is difficult to explain all the details & steps required for this unique animation art form that does not rely on mouse clicking computer methods. Stop Motion is hands-on where you actually build things, objects, etc. Where do you start? Well, reading this FAQ is a good beginning. This website is small, so take the time to look at all the pages and links (do a little bit each day). After reading questions & answers here. Read this commentary (bottom of that page). After that go to WorkShop and read more of my commentary and you will find some links with free information that is about stop motion or other arts, crafts and skills. Remember, not all information is free. You will also need to get some books which you will find at Books link. You spend money on your cell phones, dvds, music cds, so you can certainly afford some books? BUY THEM .... IT WILL SAVE YOU LEARNING TIME. Most of the books are not related to Stop Motion but cover other crafts or methods that are applicable to Stop Motion production. I am sorry to say that there is not a single book that can explain or that covers all areas of Stop Motion. You have to be a detective and do research and learn what you think, you need to know. Everyone has different levels of skills and proficiency. Stop motion like other hobbies does cost money and if that is a big issue for you, then get a job and start saving your cash. Also, at first think simple and take baby steps. Many beginners, have ambitious plans to create Stop Motion masterpieces but their projects never go anywhere because they are so overwhelmed by all the steps and complexities of Stop Motion. Q: Can I get a job or make a career in Stop Motion Animation? Also, I do not see much Stop Motion..... Why is that? A: Well.... at this time, as a "career", I am not so sure. Stop Motion is still being used in smaller media markets but not in motion pictures (very rare now). You might see major stop motion works from outside the USA ......like Aardman Animation from Engla nd. With the onslaught of CGI computer animation, stop motion seems to have been put on the backburner. With computer animation, it is more of an assembly line production in which the "director" (usually not an animator) can request constant changes or revisions to the computer animation. People working in computer animation do very specific job functions. With Stop Motion, animators sometimes serve a more key role, almost like an animator-actor-director. Also, the process of animating stop motion is more like a Live Theater Performance.... the animated results can be edgey, snappy, spontaneous or very surreal ..... the results more organic and reflecting nuances of the animator's style & personality (not filtered through the computer). Usually, film directors want to be in absolute control of every minor detail. With Stop Motion, a director may need to relinquish some of his ego and control to the stop motion animator . A director who really understands the stop motion process, allows these spontaneous and unpredictable things to happen .....it is not as rigid as a computer animated production. A Stop Motion production uses many of the traditional arts, crafts, and skills ..... it is not easy to quickly assemble a crew with those unique talents. With computer animation......there is a plethora of technicians to choose from. In mainstream work to day, studios have now created a hyper-pressure atmosphere to pump-out the animation and/or special effects in severely short production schedules. With quality Stop Motion work, one cannot rush it. Stop Moiton has always had a checkered existence and as I stated above in the FAQ here, stop motion was never fully embraced by the mainstream entertainment business. I AM NOT criticizing CGI animation or digital special effects. My main complaint only, is that other methods or approaches are perhaps being shut-out or excluded by mainstream moviemakers ..... computers seems to be the panacea to them. Computers ARE incredible tools but maybe used as a crutch? I sometimes say "Less is More", and first priority is to tell a good story with good characters. Sooooo, my advice for now, "Keep your day job". Q: Can you recommend or offer any tips or advice on how I can record or film stop motion? Oh, I forgot to tell you...... I do not have much money. A : Yes. I can give you a general idea and wrote some comments at this link, Filming your Stop Motion Animations. Many inquiries that I receive, also say...... "cannot afford to spend much". Well, if it is a hobby you enjoy, there usually is a monetary investment. Compared to years ago, computers, hardware, software programs, etc., are getting more affordable today, so "money" should not be an issue. Selection of cameras might be an exception. Middle range to more expensive cameras can be somewhat of an investment $$. Before you purchase it, research carefully to be sure it will be compatible with your other animation software, hardware and components. As I previously stated in FAQ here, beginners get over-excited and immediately want to create Stop Motion epics on a shoestring budget. Also, as you have heard me say before, take baby steps first .... you can even use a WebCam to just initially practice Stop Motion. A: What is the cost of a stop motion puppet and/or the jointed armature? Q: You should know, that armatures are CUSTOM machined and crafted. Off-the-shelf armature parts are not usually available at Walmart. Some are now offering online ..... armature parts or kits which can vary in quality. The average person-consumer will need to learn some specialty skills such as brazing and have some degree of manual dexterity in assembling the armatures and working with tools. Stop Motion is not a huge market, where an armature company can mass produce them and generate profits. What I am trying to say, a reasonably good armature can be somewhat expensive for the general consumer, however, in the "business" for professional use, these prices are moderate. I can tell you, a custom made commissioned armature can be from maybe $500. to a few thousand $ (USD). 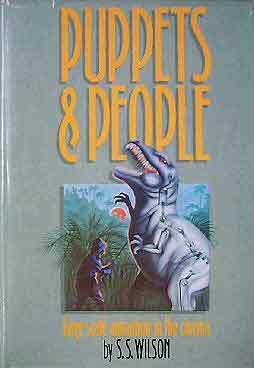 Then there is the additional cost of making the puppet (covering with rubber, clothes, sculpting, moldmaking, etc.). There are alternatives and if one is self-motivated and dedicated, you can attempt and learn how to build armatures, but not much information is available about that. There is a book, Stop-Motion Armature Machining, but if you are not the gadgeteering-type or if you never attempted metalworking & machining techniques, these methods may be difficult for beginners. A company called Armaverse sells very low cost armatures & parts, adequate for beginners but may not be suitable for complex or very customized puppet designs. I did write some brief instructions about some general, maybe easier methods of armature construction .... in WorkShop you will see my articles. Here is free online tutorial Do-It-Yourself Brass-based Armatures which does not require too much equipment. Remember "Baby Steps"? Here is a free downloadable Word document that gives an overview of Puppet Construction (just text/no photos). If you are budgetally challenged .... maybe Animation Supplies. For just practicing hands-on animation, you might try using these, Loc-Line Doll Armatures..... they need to be modified by adding feet, hands & head, then you can practice animate the bare armature/maniken (without skin or clothes). Also, read the Stop Motion message board Handbook which provides overview information about general Stop Motion production. Q: I went to your "Contact" page and have emailed Stop Motion Works some questions, but I did not receive a reply? Do you not answer your email? A: I READ ALL the emails .....this web site is something I do on my own, in my spare time. Sometimes the questions I receive are already addressed or answered in my web site. This web site is small in size but you can also use Stop Motion Works Search. I DO answer many of the emails if there is perhaps additional information that is not on this site. I always like to hear your general feedback or comments what you think of Stop Motion Works. Q: Can you tell me how many birthdays I have had? A: Yes. ONE. The rest were anniversaries. SO ..... YOU HAVE OTHER QUESTIONS? Q: I am writing a paper and I was wondering if you can send me information about Stop Motion and also the history of it?
" Other webmasters I've talked to have said that this is a common problem with running an informational page: You put in hours as a labor of love and some people will expect you to put in more unpaid time and become their personal research assistant. And I've been told that the abusive tone of some of these emails is also sadly common. What some people see as a "snotty" tone in this page, I see as firmly defining the boundaries of what I will and will not do. The majority of people I hear from are kind and delightful, and they are the ones I happily do this page for. But the Internet brings you into contact with all types of people, and for a certain type of person, you have to be firm. I know, of course, that YOU are certainly not that type of person, so I thank you for understanding my position."